Bendif EMahdi, Probert I, Schroeder DC, de Vargas C. 2013. On the description of Tisochrysis lutea gen . nov . sp . nov . and Isochrysis nuda sp. 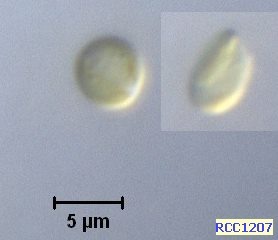 nov. in the Isochrysidales, and the transfer of Dicrateria to the Prymnesiales (Haptophyta). Journal of Applied Phycology. 25:1763–1776.